The DeWalt DWA2SLS33C MAX Fit Screwdriving Bits are made of shock-resistant steel, and feature a precision-milled top for ideal fit in screw heads. MAXFIT Bits and the Magnetic Screw Lock System are designed for use in drill/drivers and impact drivers. 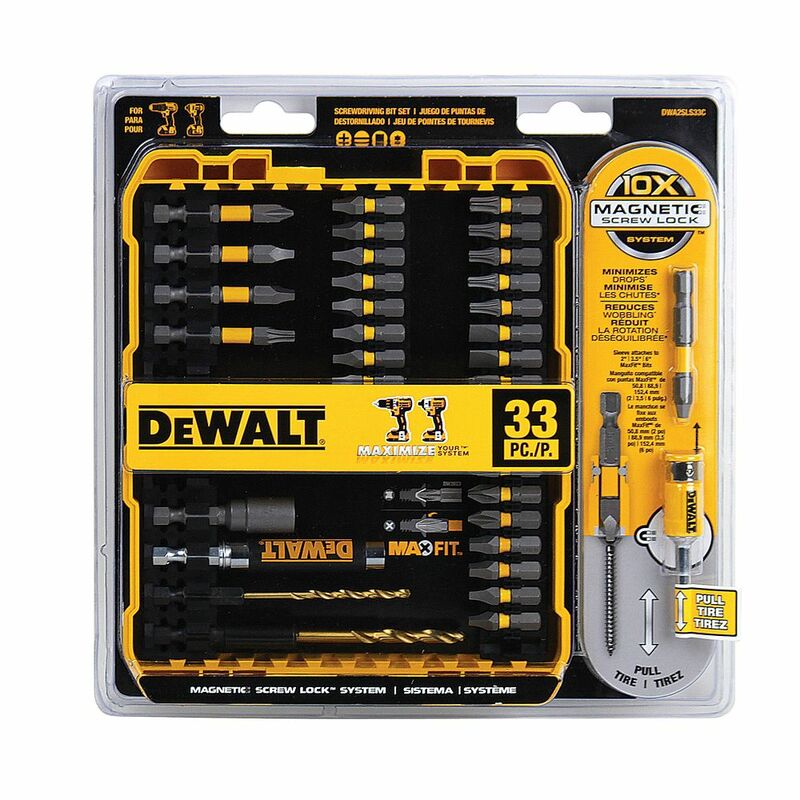 33-Piece MAX Fit Screwdriving Bit Set The DeWalt DWA2SLS33C MAX Fit Screwdriving Bits are made of shock-resistant steel, and feature a precision-milled top for ideal fit in screw heads. MAXFIT Bits and the Magnetic Screw Lock System are designed for use in drill/drivers and impact drivers.